Las Ranas de Katanchel, completed in 2010, is a tone poem built on the mythology of the ancient Yucatec and Quiché Maya with a view toward the ecology of the rain forests of Central America. The piece is dedicated to Mónica Hernández and Aníbal González, owners of Hacienda Katanchel, who graciously invited me to record the frogs in their area. Their encouragement resulted in the present work for orchestra. The program behind the piece is an amalgamation of stories from the mythologies of the Quiché Maya of Guatemala as recorded in their sacred book, the Popol Vuh, and those of the Maya of the Yucatan peninsula of Mexico. Melded to these myths is the global modern-day story of frogs and their role in the ecological health of the world. More than 30% of all amphibian species today face extinction. According to Conservation International, habitat loss, disease and climate change have contributed to the loss of whole species within the span of a single breading season. So sensitive to changes in the environment, frogs are primary indicators of the health of the planet. A central figure in the program of the piece is the Yucatec goddess Ixchel (Xmucane in the Quiché Popol vuh). She is the goddess of midwifery and medicine. Also associated with time keeping, she is intimately associated with the sacred Mayan 260-day Mayan calendar, the Tzolkin. The Tzolkin is the sacred component of the traditional Mayan calendar. Consisting of two simultaneous periods of 13 and 20 days respectively, it has no reference to any celestial cycle, but may actually be a midwife’s calendar: 260 days is roughly the amount of time from a pregnant woman’s first missed menstrual period to the day of birth. Modern obstetricians use a 40-week calendar (280 days) which starts the count from the last period that the woman experienced. Necessarily, the Tzolkin is particularly sacred to Ixchel. The piece starts with an exposition of the musical material developed in the succeeding sections. The next sections are depictions of parts of the Popol Vuh: two passacaglias based on the creation myths in the book, followed by the trials of the hero twins Hunahpu and Xbalanque in Xibalba, the Mayan underworld. The twins are set tasks of survival in the six houses of Xibalba: the houses of Dark, Razors, Cold, Jaguars, Fire, and Bats. The triumph of the twins comes with the arrival of the long-hoped for spring rain heralded by the voices of the frogs. The horns introduce the age of human beings on the earth, and the celebration of the coming of the rain. 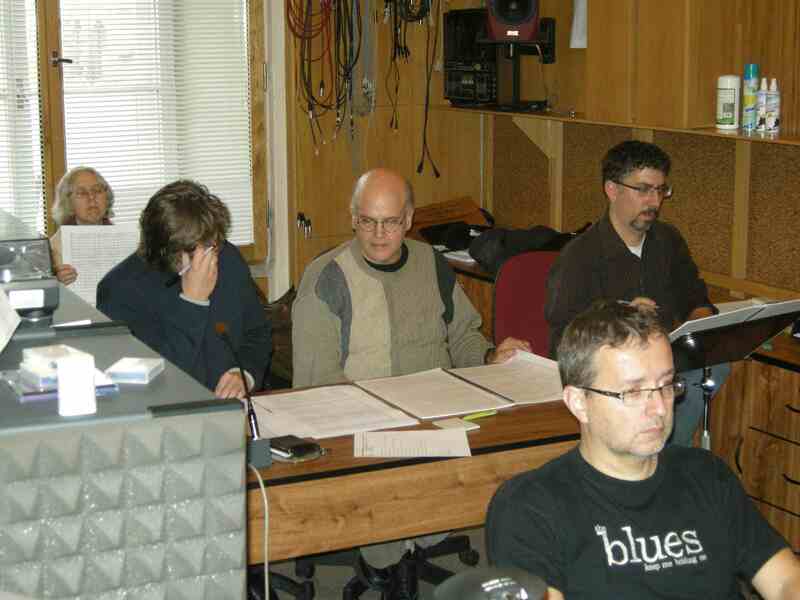 Many listeners will hear the large sections of the work as distinct yet connected movements. The natural sounds heard in the piece were all recorded by the composer near Hacienda Katanchel in the Yucatan in September of 2000. The only modification of the sounds consists of acoustical enhancement and montage. Las Ranas de Katanchel was premiered by the Rogue Valley Symphony directed by Martin Majkut on November 5, 2010 in Ashland, Oregon. 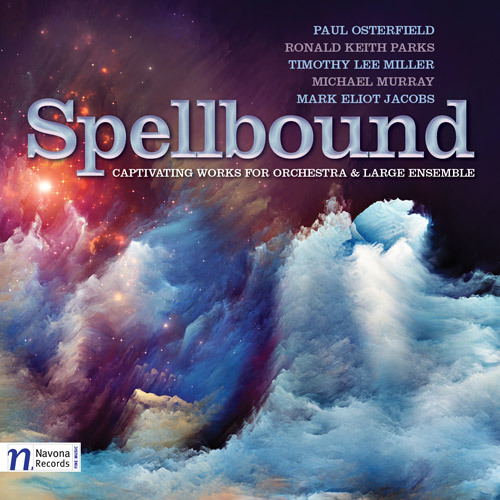 It will be featured in the upcoming CD release Spellbound by Navona Records in May of 2013. 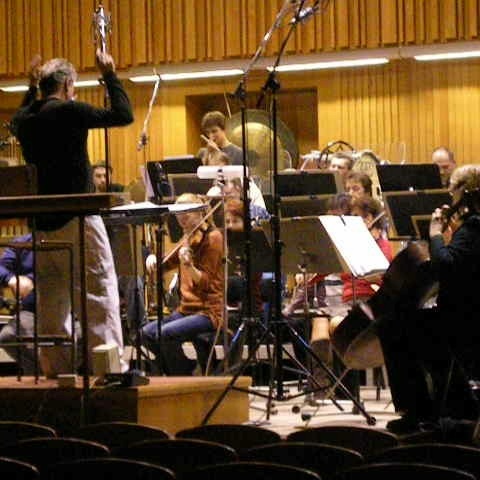 The recording was made on November 21, 2012 by the Moravian Philharmonic Orchestra under music director Petr Vronský.